The Miller Law Firm, P.C. located in Schaumburg, Illinois, is a general practice law firm that is dedicated to providing employment defense representation, to small and mid-size businesses, and effective legal counsel, to families dealing with divorce and subsequent family law matters, throughout Cook County, Kane County, DuPage County and Lake County. With an ability to be pragmatic and find cost-effective solutions through careful analysis of the legal issues many companies, employers, and individuals face, attorney Richard J. Miller brings a unique perspective and concentrated focus to clients looking for effective resolutions. 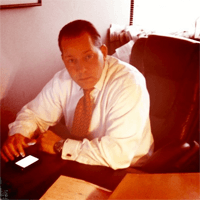 At the Miller Law Firm, P.C., attorney Richard J. Miller, is able to draw upon his extensive years as a leading finance executive, to proficiently handle complicated legal matters affecting businesses and individual employers. His corporate background experience combined with his legal expertise proves to be an invaluable quality with which many employers can identify. For individuals and families that are contemplating divorce or who are struggling with a variety of family law concerns relating to child custody/visitation/child support and post-decree modifications, the Miller Law Firm, P.C. can provide supportive legal guidance. Whether you have a business to protect or a personal family law matter to resolve, it's important to have knowledgeable legal counsel assisting you along the way. Contact the Miller Law Firm, P.C. in Schaumburg, Illinois, to schedule a free initial consultation with Richard J. Miller. Your legal concerns should be handled by an experienced employment and family law attorney, who will advocate for your rights. Call 847-995-1205 today.